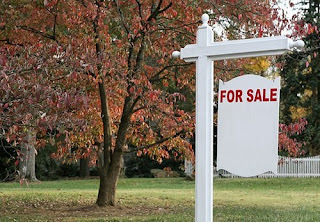 Are you planning to sell your house? Before you take the decision, it is important that you know the tax implications. Understanding tax consequences of selling your house is as important as knowing about tax considerations while buying a property. 1. Benefit of indexation: Cost of purchase for the purpose of calculating the LTCGs is eligible to get the benefit of indexation, which takes into account inflation. Cost inflation index (CII) are notified by the central government for every finanial year (FY). For example, CII for the FY 2009-10 is 632 and that of 2000-01 is 406. So for a house acquired for, say, 30 lakh in the FY 2000-01 and sold in the FY 2009-10, the indexed purchase cost would work out to be 46.70 lakh (30,00,000 * 632 / 406). In simple words, your purchase cost is proportionately increased to account for inflation which reduces your capital gains by the same amount (Rs 16.70 lakh in the above example). 2. Fixed rate of tax: The rate of tax applicable on LTCGs from sale of residential house is 20% irrespective of your marginal tax rate. There can be substantial saving if your income already falls in highest tax slab of 30%. However, if any home loan was availed to finance the purchase of your house under sale, then know that you need to wait for at least 5 years (from the end of financial year in which house property was acquired) before selling it; otherwise, you’ll lose tax deduction claimed under section 80C for repayment of housing loan. If you intend to purchase or construct another house, then you’re entitled to claim the exemption / deduction of the capital gains as per section 54 of IT Act subject to certain conditions. 1. Time limit of purchase / construction of another house: It should be purchased within one year before or 2 year after the ‘date of transfer’ of house. On the other hand, if you would like to construct, then construction should be completed within 3 years of the date of transfer even though it can be commenced before the sale. 2. How much maximum exemption is available: You don’t have to invest the entire sale proceeds for the purchase / construction of the new house. To avail complete tax exemption, the maximum amount that needs to be invested in new house is limited to the amount of capital gains. If you invest less, then the unutilized portion will be taxable. 3. Capital Gains account scheme: What if by the time of return filing, you’ve not utilized the money but you do intend to buy / construct a new house during next year or within the maximum time period allowed? In such a case, the amount should be deposited in “Capital gains account scheme, 1988” (CGAS) with any nationalized bank before the due date of filing of return and later on this amount can be withdrawn to be so utilized. The amount once withdrawn should be utilized within sixty days otherwise it should be re-deposited. i.) Deposit Account A: It is similar to savings account. Interest rate is same as applicable to normal savings account. The interest is taxable. ii.) Deposit Account B: This one is like a fixed deposit account. The interest can be either cumulative or non-cumulative. Rate of interest is also same as paid on normal FDs. The interest is taxable. Now, what if the amount so deposited in CGAS is not utilized—wholly or partly—for the new residential house during the stipulated period? The unutilized amount will be charged to tax in the year in which the period of three years expires. 4. Further restriction on sale of new house: The new residential house can’t be sold before a period of three years from the date of its acquisition or completion of construction. If you do not wish to acquire another house, there’s another option to save tax on the capital gains—invest the capital gains in infrastructure bonds of REC / NHAI as per section 54EC of IT Act. 1. Lock-in-period: 3 years from the date of transfer. The bonds are neither listed nor otherwise transferable. 2. Maximum Exemption: Maximum amount that can be invested is Rs 50 lakh. 3. Taxation: There is no tax deduction at source; however, interest income on these bonds is taxable on annual basis. 4. Rate of Interest: The current bond issues (REC 54EC Capital Gain Tax Exemption Bonds Series VIII and NHAI 54EC Capital Gains Bonds Series-X) open for subscription till 31st March 2010 are offering a simple interest rate of 6.25% p.a. which is to be paid on June 30 every year. For futher discussion, wait for part-2. 1. What is the right time to buy a house? can u reinvest the amount initially kept in a CGAS account and lying unutilized by way of purchase of another flat for 1.5 years, for purchase of these notified bonds? in that case what would be the date of calculation of the 3 year lock in period. I have an apartment and its in my name and I intend to sell it. Now, we plan to use the proceeds from teh apartment sale to construct a house. My husband plans to take the loan for construction. How can he use the money from the apartment sale that was under my name ? ...is that possible and are there any tax implications. Is it possible if I am a co-applicant on the house construction loan ? Property tax is one of the burdens a homeowner must be fully aware of when looking for new homes. I hope every homeowner takes a look at your post.